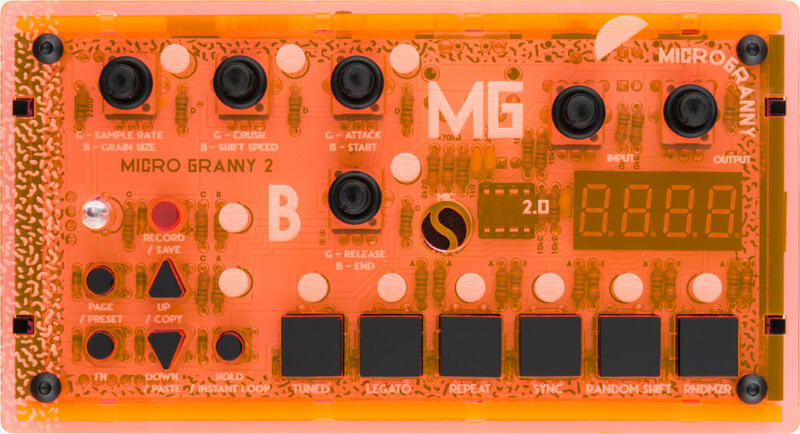 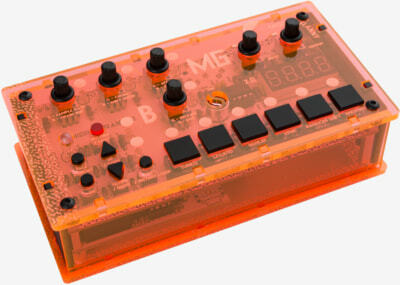 MicroGranny 2 is a monophonic granular sampler. 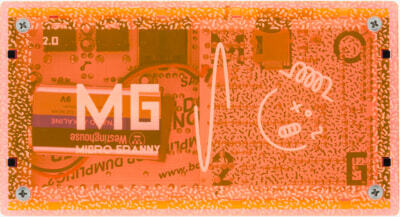 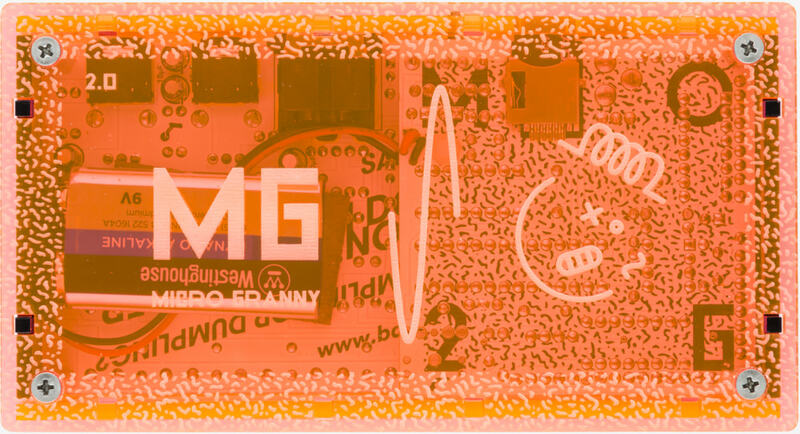 It reads wav samples from microSD card and applies granular algorithms to them. 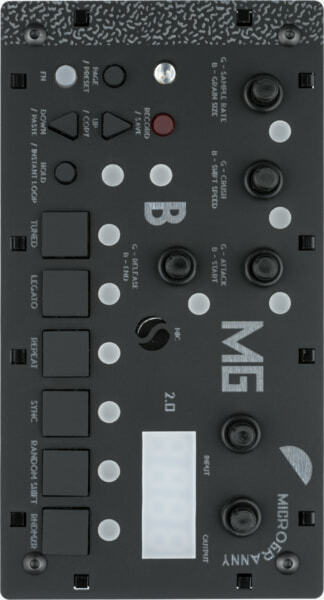 You can also adjust start, end, sample rate (tuned or free run), crush and envelope (attack release). MIDI Input allows external control of all parameters as well as transposition of the samples, or playing individual grains by different keys. 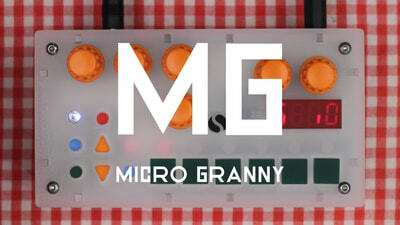 You can build your own microGranny with our DIY kit. 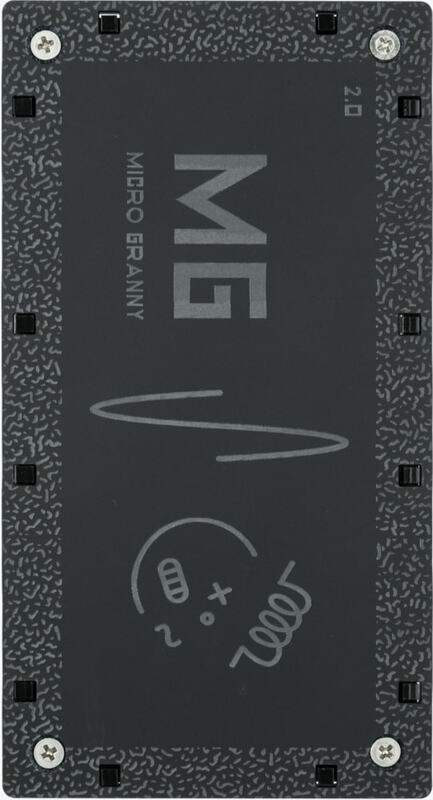 Go through the complete assembly guide below and make sure that you understand all the steps. 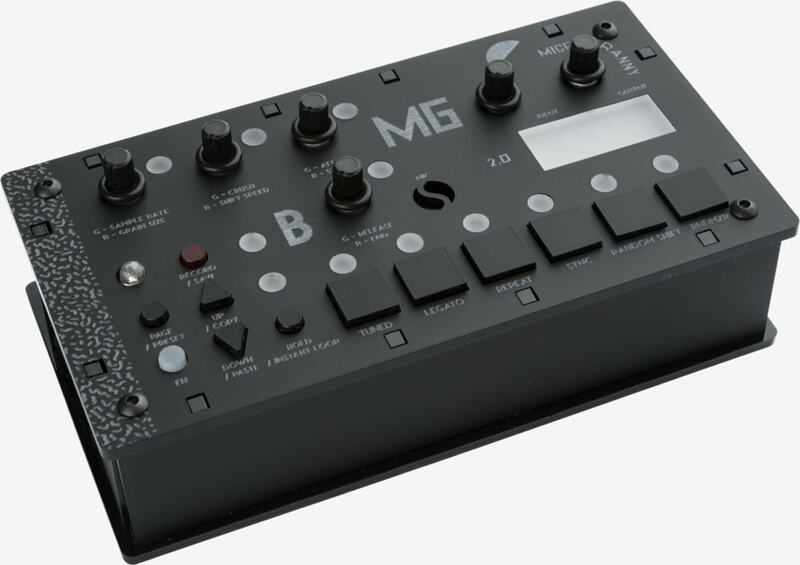 Are there any differences in software between Limited Editions? Anyway, it is possible to update your Atmega microcontroller with the newest arduino software posted on our GitHub. Still, we know that not all of the current MG2 users own a programmer, or can handle the update on their own. So you can get the preprogrammed chip with newest firmware HERE.